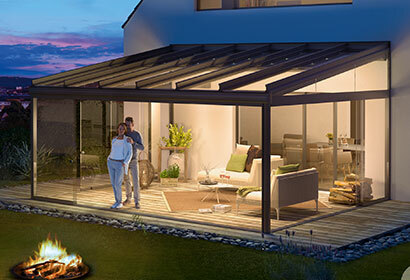 Our British summer is never quite long enough, so why not extend the season and the usability of your garden or outside space with a stylish wintergarden/glass room. Our completely bespoke solutions make a valuable addition to any home or business. With a broad range of systems, the options are enormous. 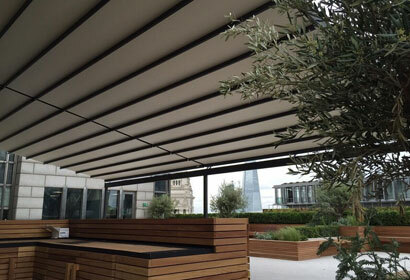 From giant Pergotex retractable roof systems which can filled in, and Glasoase systems that make excellent glassrooms that lean to an existing wall or structure of your house, to Med Twist and Varia systems which contain stunning louvred roofs and can be stand alone systems. These systems suit both commercial and domestic properties. Domestically they can be used to host guests and entertain, as well as a possible island of tranquility for you to relax. 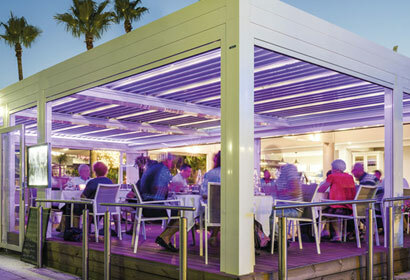 Commercially, the systems work particularly well in the food and drink sectors, with cafes, restaurants and bars often using them to extend the usability of their outdoor space. With extras such as LED lights, the usability of these systems all throughout the evening and night is extended even further. Alongside this, infrared heaters are available for colder days. These heating systems are not only powerful but save up to 30% on energy costs compared to traditional heaters;. 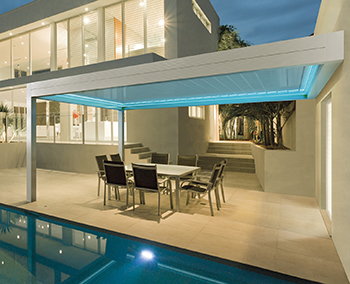 Our Autumn sale on any glass room or louvred roof system is now on! This season, any like for like quotation will be beaten.